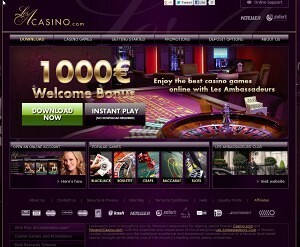 Welcome to Les A Casino, a location for the elite of casino players. This is how you’re welcomed on this casino and it really lives up to that name. A slick homepage design and some of the most prestigious high end games on the offer. This is what Les A is all about. They’re owned and operated by Mansion Group, one of the most known names in this industry. On top, they’re powered by PlayTech gaming software, which stands for high quality and high end user experience provided. The online version of this casino is based on the land based casino, known as Les Ambassadeurs Club, located in MayFair, London. 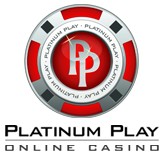 As briefly mentioned, Les A is powered by industry leading PlayTech casino software. Shiny graphics, easy to understand gameplay and some staggering visual effects. 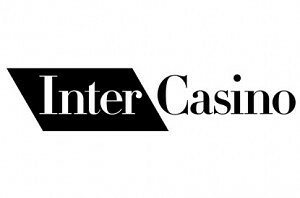 These are the three things describing this casino the best. When it comes to the actual playing, you will be able to do so in two ways – by using a downloadable client that can be started from your desktop with a single click or the instant play version. The latter will greatly suit those using alternate operating systems, such as Mac or Linux and of course those who like to play on the go and want to avoid downloading any software on their computer. You’ll find more than 200 games in the portfolio of this casino, ranging between some of the top titles for slots and a diversified range of blackjack, roulette and other casino games. The Incredible Hulk – a 50 pay-line slot, created after the big green giant Hulk himself. Several bonus games, high betting limits and the sticky wilds feature. To top it off, add Marvel progressive jackpot up for grabs. Kong – a 25 pay line video slot game that is based on the Universal Picture produced movie ”King Kong”. Big City bonus game and jungle game mode. Get into the wild by playing this slot game! Iron Man – a yet another Marvel Superhero slot machine that offers stacked symbols, 25 pay lines as well as 4 Marvel Jackpots. Beach Life – one of the best known progressive slots found at this casino. Beach Life is a simple 5 reel, 20 pay line game that visualizes the fun of hanging at the beach during summertime. Have fun and win a 7 figure progressive jackpot! Gladiator – enjoy watching movies about Roman warriors and their fights? You have to try out this slot that visualizes exactly that. On top, you can also claim the progressive jackpot, which currently sits at a nice $800,000. Variety of games is what this casino is all about. You’ll be able to play blackjack, roulette, casino poker, dice and much more! Find the variations of most popular games as well as other games offered below. Claim a 100% up to $500 bonus, when you make your first deposit. Claim a 50% up to $300 bonus, when making your second deposit. Claim a 50% up to $200 bonus, when making your third deposit. As usually, these bonuses are a subject to play through requirements, which will have to be fulfilled before a withdrawal can be made. You’ll also have 30 days to fulfill them, otherwise the bonuses will expire. Wagers equaling 40 times the bonus amount will be required before a withdrawal request can be made. Alternatively, you can also browse the FAQ section, where answers to questions and problems of basic nature can be found. Join Les A Casino now and claim your $1000 Welcome Bonus!